I am surfing a high of fabric inspiration right now. I'm loving all the American Southwest (and/or Mexican) designs that are available right now. I'm sure in two years (two seasons??) 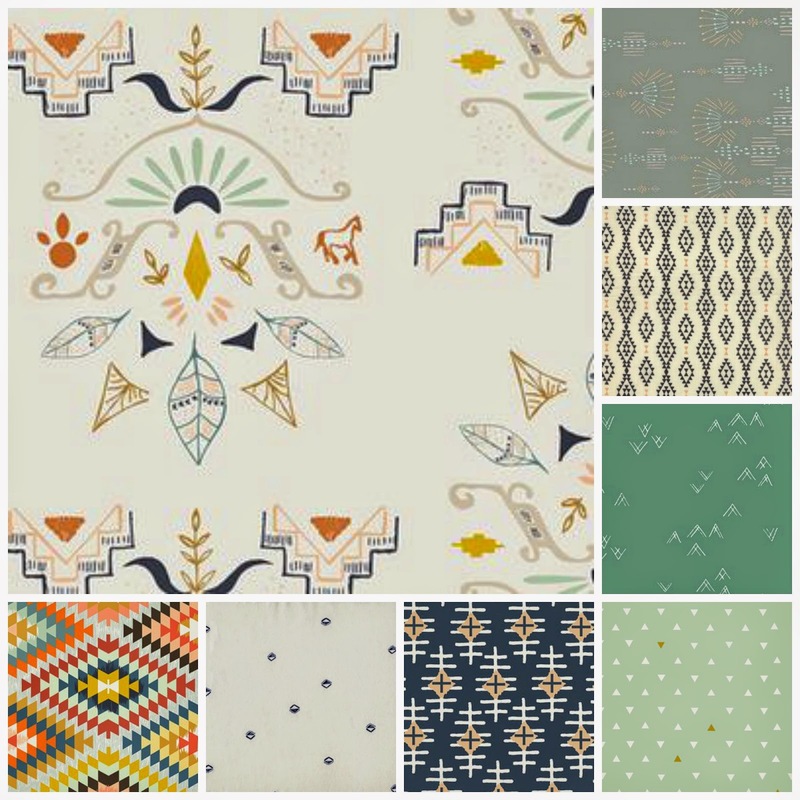 the trend will be over, but the colors and motifs speak to my heart, as someone who grew up in Arizona. I just want to BUY ALL OF THEM!! But that's not really an option. Many of the above are from April Rhodes' collections, either Wanderer or Bound. I actually purchased the Mesa Lawn (bone white with little blue diamonds) which is manufactured by Cotton + Steel and designed by Alexia Abegg. And from the collage below I purchased the striped print (you can see it in my work-in-progress from my previous post), which is from the Geometric Bliss collection by Art Gallery, designed by Jeni Baker. So, two down, many many to go, ha! These are all in such lovely color groups- this trend can stick around for me!! I really like this style, too. I've always been attracted to southwestern prints, even as a kid (mainly because I was so interested in horses, and, by extension, western stuff). These collections are gorgeous!